This program takes the reader step-by-step through the process of how to sell gym memberships and health club memberships. 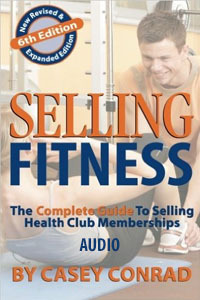 Hundreds of clubs around the world use this book with all new employees having anything to do with health club or gym sales. Chapters include: What Motivates People to Buy?, What Do People Buy?, Why Buy From You?, Communication Styles, Establishing Rapport, Making The Most of the Telephone, The Needs Analysis, The Tour, Closing & Overcoming Objections, Lead Management and Prospecting. Bundle this with the Selling Fitness book and you get both for the same price for great savings! 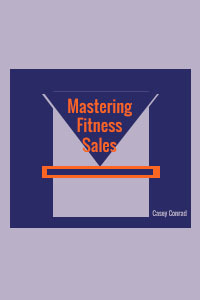 Get both the Selling Fitness book and audio book for the same price as just the audio! This 5-disc program includes all the chapters of the book read by the author, Casey Conrad. The twelve chapter book helps personal trainers increase their sales by teaching them the 5 steps to selling personal training: prospecting, how to establish rapport, qualifying, product presentation and how to ask for the sale. 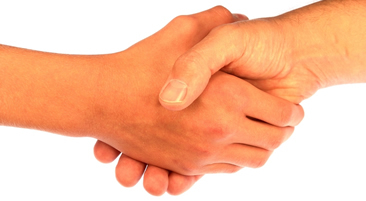 In addition to providing the reader with the fundamentals of selling Casey’s approach is to teach trainers that selling is nothing more than educating people to make a good decision about the product or services they are considering. 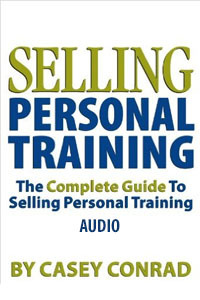 Get both the Selling Personal Training book and audio book for the same price as just the audio! Whether you own or operate a health club, fitness center, personal training studio or wellness facility, YOU NEED CUSTOMERS AND MEMBERS! In today’s competitive market place, owners and operators say their #1 challenge is getting more prospects through the doors. Unfortunately, traditional marketing is not making the phone ring or the door swing like it once did. But sales is a numbers game and more prospects results in more customers. The internet gives your business the ability to find lots more prospects at a much lower cost than traditional marketing. Operators who don’t know how to use the internet correctly end up with pretty Facebook pages but no additional sales! In order to leverage the power of the internet you must use a specific strategy that turns viewers into clicks into opt-ins, opt-ins into tours, and tours into members. Those that don’t follow the right fitness marketing strategy get frustrated with poor results. This is where you’ll find the best fintness business ideas around! 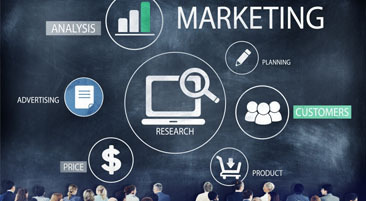 Internet Marketing for Health & Fitness Clubs teaches you the strategies and the secrets to successfully getting more prospects for less money. 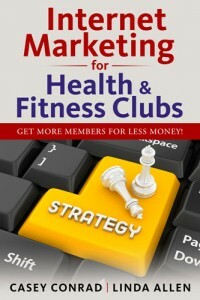 Get both The CBA’s of Internet Marketing for Health & Fitness Facilities book and audio book for the same price as just the audio! 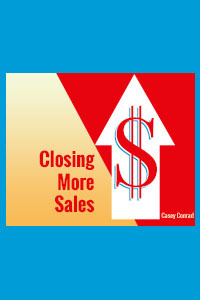 This CD audio program and 10-page workbook teaches salespeople how to close the sale. The listener is taught strategies of how to present memberships for optimal results and is then brought through step-by-step instructions of how to overcome objections, including scripts for the most frequently heard objections. If you wonder how to sell gym memberships, this is what you’re looking for. Regardless of education, economic background, or raw intelligence, studies show that all top sales achievers consistently do certain things on a daily basis. Their beliefs, their style of communication, how they manage themselves physically, and how they live are just a few of the elements of success. This CD audio program delivers all ten-success ingredients without which high achievement remains an illusion. This is an ongoing sales training program designed to give a sales manager 36 turnkey sales meetings to use throughout the year. 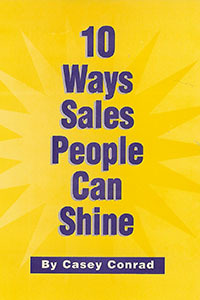 The program consists of 12 audiotapes, 12 workbooks, and 12 Sales Manager’s Guides. Topics include: Why Fitness Salespeople Fail and What You Need to Know to Succeed, Buying Patterns, Mastering Incoming and Outgoing Phone Calls, The Needs Analysis, Dynamic Club Tours, Prospecting, Time Management, Lead Management, Communication Styles, Rapport Skills, Powerful Presentations and Personal Excellence. Each tape is approximately 60 minutes and is divided into three, twenty-minute sections for ease of implementation. Workbooks and Sales Manager’s Guides provide tools for integration of learning such as reviews, group exercises, individual exercises and tests for accountability.